You only have one shot at making a good first impression. 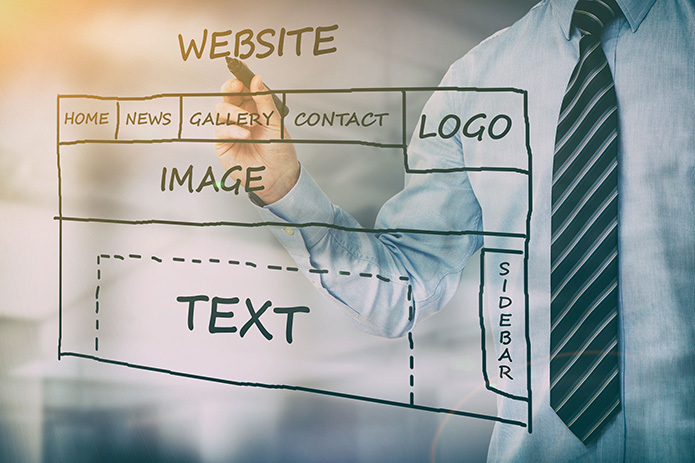 When you have a business, that first impression means your website. You want it to be the very best one possible. It will impact interest in your brand, and you want it to be a very positive one at that! The goal is to leave them wanting more too. Clicking on your site, within a brief amount of time, you want them to be intrigued, lingering longer. By making a good impression, you can stand out among your competitors. You can become memorable. This can motivate visitors to return, and that, in time develops some trust. Trust can turn into loyalty. That nurtures possibilities for long lasting customers. Consumers are busy and they value their time. If your website does not grab their attention within seconds, they move on. The first glimpse of your website must be attractive and visually satisfying. It needs to pique the readers’ interest, guiding their discoveries of what you have to offer. It is a good idea to have a balance of print and graphics that maintains the integrity of the brand and concepts being presented. Having the user in mind is key, making it easy to navigate. Visitors will connect more when they can quickly acquire information without a big investment of time, for now. What you are all about, what you have to offer, needs to reach those that it matters to the most. This is your target audience, your target market. An experienced digital marketer knows how to build and maintain your website, but also how to promote, and also secure those five-star reviews. Today’s consumers take notice of these. In fact, they influence and drive the decisions of others in the marketplace. Whether these are positive or negative, the can make or break the growing potential of your brand. You certainly want the positives! A skilled marketer can also have a profound impact of ranking high on search engines. Here again, time matters! Those impressions begin with the touch of a finger, searching the web for what one wants. Webfox Marketing is a Michigan SEO, digital marketing, and website developers. We serve our local community near Livonia, Novi, Farmington Hills, West Bloomfield, South Lyon and beyond. In addition to digital marketing services, we are knowledgeable in search engine optimization, pay-per-click marketing (Google Adwords), Michigan SEO, social media marketing, and more!